A gorgeous story about friendship and working together from a star picture-book partnership, the inimitable Julia Donaldson and award-winning Catherine Rayner. One by one, the other birds fly into her tree, wanting to talk or to play, but the Go-Away bird just shakes her head and sends them all away. But then the dangerous Get-You bird comes along, and she soon realizes that she might need some friends after all . . . 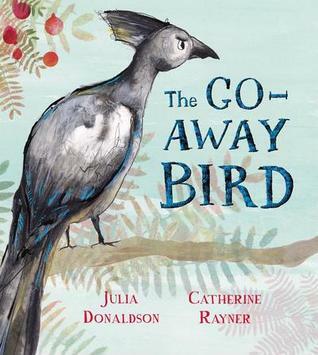 The Go-Away Bird combines brilliant rhyming verse from much-loved children’s author Julia Donaldson, creator of the bestselling picture books The Gruffalo and What the Ladybird Heard, with stunning illustrations from the CILIP Kate Greenaway Medal-winning Catherine Rayner. A charming story about the power of friendship from a thrilling creative partnership, this beautiful book is perfect for reading together. Julia Donaldson is the author of some of the world’s best-loved children’s books, including the modern classic The Gruffalo, which has sold over 17 million copies worldwide, and the hugely successful What the Ladybird Heard adventures. Julia also writes fiction, including the Princess Mirror-Belle books illustrated by Lydia Monks, as well as poems, plays and songs – and her brilliant live shows are always in demand. Catherine Rayner studied illustration at Edinburgh College of Art. Catherine won the Best New Illustrator Award at the Booktrust Early Years Awards for Augustus and His Smile and has been awarded the prestigious CILIP Kate Greenaway Medal. Catherine’s other titles for Macmillan include the critically acclaimed Solomon Crocodile and the award-winning Smelly Louie. This must be the best rhyming children book I have come across (yes its prose really does rhyme, and rhyme well, not awkwardly as some children’s books do). The story has a beautiful message; read out loud, enjoy the language, the rhythm and as you turn the pages experience the delightful art. I am in awe of the illustrations. 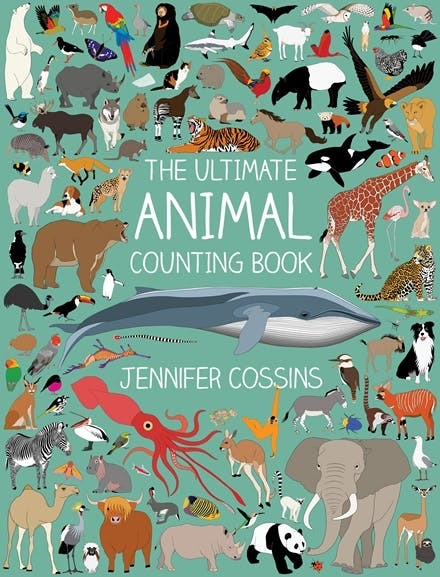 Join CBCA Award-winning author/illustrator Jennifer Cossins (as praised on The Ellen Show) on an expedition through the animal kingdom in the most amazing animal counting book ever – count one to 100 and collect fascinating animal facts along the way. Can you count one blue whale? Probably. How about 16 lions? Or 44 penguins? Or 100 fairy flies? Join CBCA Award-winner Jennifer Cossins on an expedition through the animal kingdom, counting one to 100 and collecting fascinating animal facts along the way. Discover the colour of a zebra’s skin under its stripes, how a tapir uses its nose as a snorkel when it swims, and that cranes are famous for their dancing! Beautifully illustrated with full-colour pictures of animals great and small, from all over the world – from the familiar wombat and sea turtle to the unusual gerenuk and caracal – THE ULTIMATE ANIMAL COUNTING BOOK is an utter delight. Jennifer Cossins’ animal kingdom books never fail to disappoint; educational, fun, beautifully illustrated with stunning details, this series of children’s books have encouraged and assisted my grandson to learn to count (he can now count to 100 thanks to this latest book), he also has a great knowledge of Australian and other animals, and most importantly the books have fostered a love of reading and being read to. We look forward to the next delightful book in this series. PS – love all the quirky facts that are scattered throughout this book. This book is for you and your mum. Draw, decorate, colour in, count, spot the mum, make a butterfly (or two) and then present the book to your mum for any special occasion: birthday, Xmas, Mother’s Day … or just because. 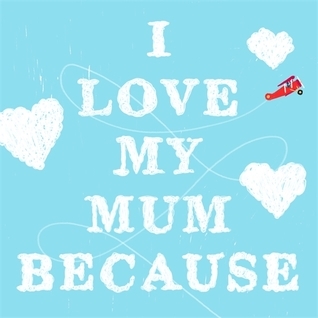 An interactive picture book to personalise for your mum. Petra James is the author of ten books for middle-grade readers. She has worked in publishing for more than twenty years, and has been a children’s publisher for thirteen of these. This book is a delight to complete and to receive. I love that this is a book about sharing experiences and creativity. There are plenty of opportunities to engage your little one and discuss emotions; mum is celebrated and acknowledged for all the things – for blowing bubbles (such innocent fun), she bakes the best birthday cake, she tells the tooth fairy not to get lost, she knows which colour you are on the inside (let’s talk feelings), she hides and I seek (playful mum)…Mum is so many things. They are opportunities to colour in, to draw, to play games, to think and to express your love. Just holding this book in my hand makes me feel happy. It is delightful. 🙂 I hope you have the pleasure of receiving or helping fill this one out soon. A young woman, living on the street has to keep her wits about her. Or her friends. But when the drugs kick in that can be hard. Anton has been looking out for her. She was safe with him. But then Steve came along. He had something over Anton. Must have. But he had a flat they could crash in. And gear in his pocket. And she can’t stop thinking about it. A good hit makes everything all right. But the flat smells weird. There’s a lock on Steve’s bedroom door. And the guy is intense. The problem is, sometimes you just don’t know you are in too deep, until you are drowning. Mark Brandi has a special talent, a super power, he is able to insert poignant, authentic characters into his narratives that tell urban, contemporary stories that have great social impact. Subtle yet powerful, what an amazing voice he and his characters have. What’s next Mark? I can’t wait to find out. Ex-cop Ted Conkaffey is slowing rebuilding his life in Crimson Lake, and getting to know his three-year-old daughter, Lillian. 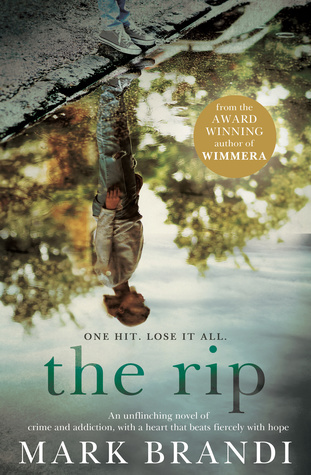 But when he and his PI partner Amanda take on the case of a boy who seems to have literally disappeared into thin air, his job once again threatens everything . . .
Crimson Lake is where bad people come to disappear – and where eight-year-old boys vanish into thin air . . .
On the fifth floor of the White Caps Hotel, four young friends are left alone while their parents dine downstairs. But when Sara Farrow checks on the children at midnight, her son is missing. The boys swear they stayed in their room, and CCTV confirms Richie has not left the building. Despite a thorough search, no trace of the child is found. Distrustful of the police, Sara turns to Crimson Lake’s unlikeliest private investigators: disgraced cop Ted Conkaffey and convicted killer Amanda Pharrell. This case just the sort of twisted puzzle that gets Amanda’s blood pumping. For Ted, the case couldn’t have come at a worse time. Two years ago a false accusation robbed him of his career, his reputation and most importantly his family. But now Lillian, the daughter he barely knows, is coming to stay in his ramshackle cottage by the lake. Ted must dredge up the area’s worst characters to find a missing boy. And the kind of danger he uncovers could well put his own child in deadly peril . . .
An outstanding work of crime fiction/mystery! This is an excellent read, this series just gets better and better. I think this has to be my favourite Candice Fox read thus far. 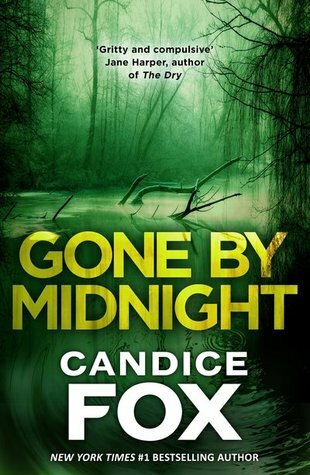 Candice has provided the reader with exciting plot lines, some great empathetic characters, wonderful eerie settings (crocodiles and swamps are a spine chilling combination), some great twists and turns and a conclusion that is spiked with hope. I love this series! More please. When Aisling Conroy’s boyfriend Jack is found in the freezing black waters of the river Corrib, the police tell her it was suicide. A surgical resident, she throws herself into study and work, trying to forget – until Jack’s sister Maude shows up. Maude suspects foul play, and she is determined to prove it. 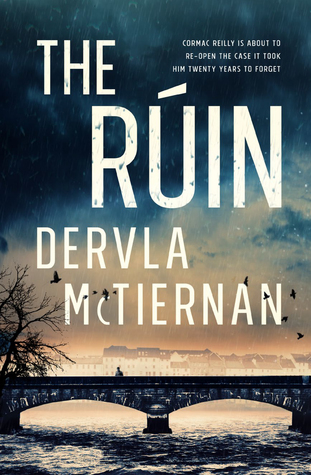 This unsettling crime debut draws us deep into the dark heart of Ireland and asks who will protect you when the authorities can’t – or won’t. Perfect for fans of Tana French and Jane Casey. Fantastic reading – and I don’t say this lightly! I have discovered a new favourite protagonist in Cormac Reilly and lucky for me (and you) the second book in the series, The Scholar, is due out in a couple of weeks so you will be able to immerse yourself in the in Irish landscapes, the exciting mysteries, the politics and corruption (in the police force that makes for an interesting back story) and the brilliance that is Cormac Reilly. Cormac Reilly is a realistic, hardworking, sensitive, conscientious, modern and honest cop. He is not flawed (that I have noticed, hurray!!) He doesn’t drink excessively, or have any addictions or other black marks on his character – so refreshingly different! You will love this character and want to read more. This is another read I predict will make a wonderful tv series. Brock and Kolla return in an enthralling new mystery from a master of the genre. Newly promoted Detective Chief Inspector Kathy Kolla investigates a series of brutal murders on Hampstead Heath. Under intense pressure to find answers, she arrests the unlikely figure of John Pettigrew, a failing London publisher who lives alone on the edge of the Heath. Pettigrew’s lawyer calls on recently retired David Brock for advice, and soon, unable to resist the pull of investigation, the old colleagues, Brock and Kolla, are at loggerheads. At the heart of the gripping mystery of the Hampstead murders lies a manuscript of an unknown novel by one of the greatest literary figures of the twentieth century. Brock believes that its story will unlock the puzzle, but how? 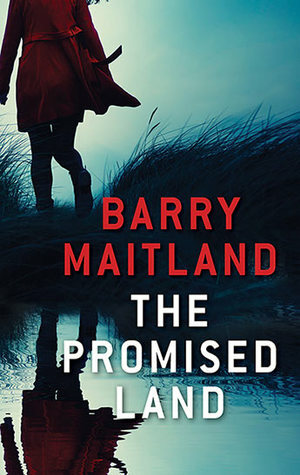 This is my very first Brock and Kolla read but not my first Barry Maitland, what a versatile, talented writer! A little bit about Barry Maitland for those who have not yet had the pleasure of reading any of his novels. “My family came from Paisley, an industrial city near Glasgow in Scotland, where I was born. When I was young we moved to London, where I went to a school with an English teacher who inspired me about literature. But I wanted to be an architect, which I studied at Cambridge University. After a period in practice I studied urban design at the University of Sheffield, where I also taught. In 1984 I was offered the position of head of the architecture school at the University of Newcastle in Australia, and moved there with my family. Six years later Newcastle was struck by an earthquake, and Margaret, my wife, was almost killed when the house fell in. It was a dramatic and chaotic time, and as a reaction to what was going on around us I began to think about the plot of a murder mystery, The Marx Sisters. This was published in 1994, and became the first of a series of twelve Brock and Kolla novels published over the next 20 years, together with one stand-alone mystery thriller Bright Air, set in Australia. As I started reading this, the 13th booking he Brock and Kolla series (and yes it can be read as an excellent standalone) I wondered how this author could have such realistic landscapes both in this series set in London and the Belltree series set in Australia. (I have read the first in the Belltree series, and it too is a wonderful, exciting read.) Now I have read Barry’s brief author bio the landscapes now make sense. Regardless of which landscape Barry Maitland’s novels are set in you find realistic settings, characters that are humble, intelligent and fearless and plots that are complex and well executed. The Promised Land is a captivating read! I am hooked. I want more!